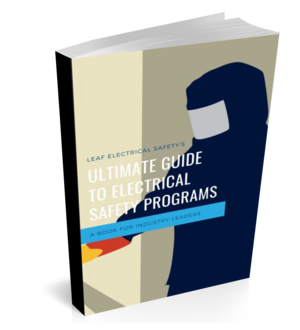 There is a common thread that runs through many arc flash awareness and qualified electrical worker courses "what do people need to know about arc flash", and while this is important it is not critical for the electrical workers when faced with the hazard on the job. What's critical is knowing what to do about the possibility of an arc flash occurring. In this article, I will go over some things you can do every time you are faced with an arc flash potential. So I'm not talking about engineered solutions, these are all things that you'll have at your disposal at any time. This might seem like a "no-brainer" but it's amazing how many jobs are still being done today without considering an alternative solution. There is always more than one way to skin a cat and dealing with arc flash is no different. Take for example an underground mining sub; typically they have power coming in on one end to a switch, which feeds a step-down transformer, which then feeds the main breaker and circuit breaker panel. Nine times out of ten the arc flash incident energy level is very high on the main breaker (the low voltage side). In order to work on the circuit breaker panel the main breaker needs to be de-energized, but you could also operate the incoming switch on the high-voltage side, the results are the same but the arc flash levels usually pale in comparison. Thus you avoid the higher level arc flash. If there is no power there is no arc flash. So that being said, why are people still working on energized equipment? Unless the task that you are doing can absolutely not be completed with the power off then turn the thing off! Now, mind you, you will still need to be conscious of the potential for arc flash while you test to prove the power is off but once de-energized then there is nothing to worry about. Unfortunately, there are still those jobs out there that require live work to be performed by electrical workers. Testing and troubleshooting is probably the most common one so the only option you are left with is putting on the PPE. Make sure that your body is covered head to toe in arc rated PPE and you have it made. You'll have to do this one alongside putting on the PPE, and it also applies to the idea of going where the hazard is the least, but in any case, you need to determine the level of the hazard. Right now there are only two ways to determine the level of the PPE. Check the arc flash hazard label for the incident energy level or determine the arc flash PPE category by using the table method in CSAZ462 or NFPA70E. Once you know what you are up against you'll be better armed to decide what to do. The next time you take an arc flash course or maybe you are designing your own course for internal training of your team, remember, it's not what people need to know that's so important, it's what people need to do that makes the difference. I hope you found this article useful and if you did please share it! Arc Flash Hazard, Risk or Both?